Los Angeles Clippers owner informs NBA he won't pay his $2.5 million fine, threatens lawsuit unless lifetime ban is lifted. Los Angeles Clippers owner Donald Sterling has sent a letter to the National Basketball Association (NBA), telling the league he won't pay his $2.5 million fine and rejecting his lifetime ban, a source close to the situation said Friday, according to CNN. The letter also threatens the NBA with a lawsuit if Sterling's punishment for making racist remarks, handed down by NBA Commissioner Adam Silver in April, is not rescinded, the source said. "We reject your demand for payment," the letter says, according to CNN. Reports of the letter are surfacing after Sterling gave an exclusive interview to CNN this week, in which he repeatedly denied he is a racist despite remarks made in a private conversation with his friend Vanessa Stiviano that were released online. In the recording, which drew widespread condemnation from fans, players and the league after it appeared on TMZ, Sterling chastises Stiviano for posting pictures online of her posing with African-Americans, including NBA legend Earvin "Magic" Johnson. He tells her not to bring Johnson to Clippers games. 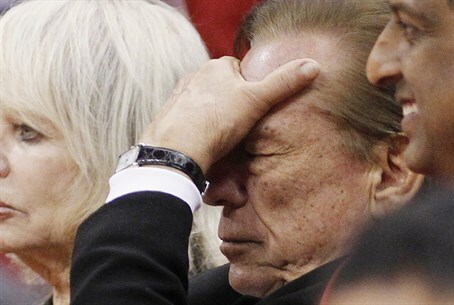 "I'm apologizing, and I'm asking for forgiveness," Sterling told CNN in that interview. "Am I entitled to one mistake? After 35 years. I mean, I love my league, I love my partners. ... It's a terrible mistake, and I'll never do it again." The league's 29 other owners have taken the initial steps to force Sterling to sell the franchise he has owned for 33 years, with an advisory committee meeting three times so far. Sterling's estranged wife, Shelly, has said she wants to keep her 50% ownership in the team, which is through a family trust.